When a policyholder having a health insurance policy avails insurance cover for treatment at a hospital, he/she has two options to do so. When a policyholder having a health insurance policy avails insurance cover for treatment at a hospital, he/she has two options to do so. The first option is to file for a cashless claim wherein the insurance company pays the expenses for treatment of the insured directly to the network hospital. The second option is that the insured pays all the expenses from his/her own pocket and files for a reimbursement of the expenses from the insurance company later. Obviously, all policyholders would like to avail the optionof cashless facility where the insured is not required to pay anything and the insurance company settles the medical bill directly with the hospital. To avail cashless facility, the insured has to follow due procedure as required by the insurance company. The cashless facility is available only at the network hospitals of the insurer. Once the insurer makes the choice of the hospital, he/she has to fill up the pre-authorisation form of the insurance company available with the insurance company or its third party administrator (TPA) and submit it at the insurance desk of the network hospital.The insured has to also submit copies of cashless card, policy document, ID cards to the hospital. The pre-authorisation form has to be submitted within a stipulated time, which depends on whether the hospitalisation is planned or emergency.In case of planned hospitalisation, it is advisable to submit the pre-authorisation form well in advance before hospitalisation. 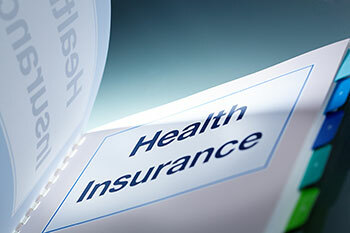 The insurance company or its TPA will then communicate to the insured and the hospital the amount of cashless facility approved by the insurer. But cashless facility may not be really ‘cashless’ after all. The networkhospitals may ask for an initial refundable deposit of Rs 10,000 to Rs. 30,000, depending on the estimated cost of treatment. Also, cashless facility does not cover non-medical expenses, such as registration fees, etc. It is essential for the insured tokeep all medical reports, lab/diagnostic bills, and other related documentsin safe custodyas he/she will be required to submit them to the insurer after the claim. If the original documents are required to be submitted to the insurer, then it is necessary that the insured keeps copies of all the documents for his/her own records and reference.